We all confess to 'checking out' items and companies online before committing, and your customers will be no different. Add the Mortgage Search plug-in or a Best Buy Table onto your website and position yourself to your website visitors as a more credible and modern professional adviser. Both will encourage your website visitors to complete an enquiry form and you then receive an email with their details via a data protected lead service. All enquiries are also pre-populated into The Key, our CRM system so that your sales process can be managed efficiently. 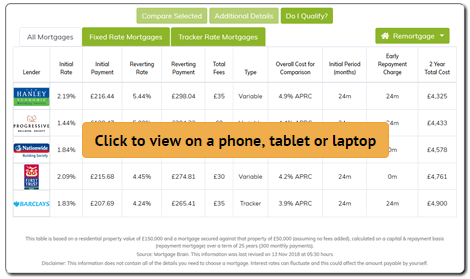 The Mortgage Search plug-in on your website asks only 4 questions from your visitors and a number of suitable mortgages are displayed. 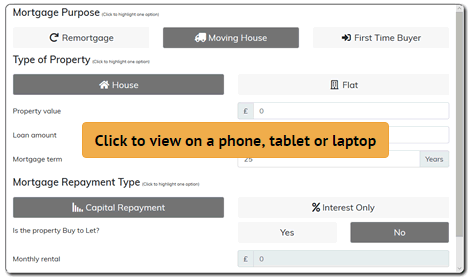 You can configure the plug-in to show as much or as little information about the mortgages displayed as you wish. The Best Buy table on your website shows your website visitors the best mortgage products currently on the market.